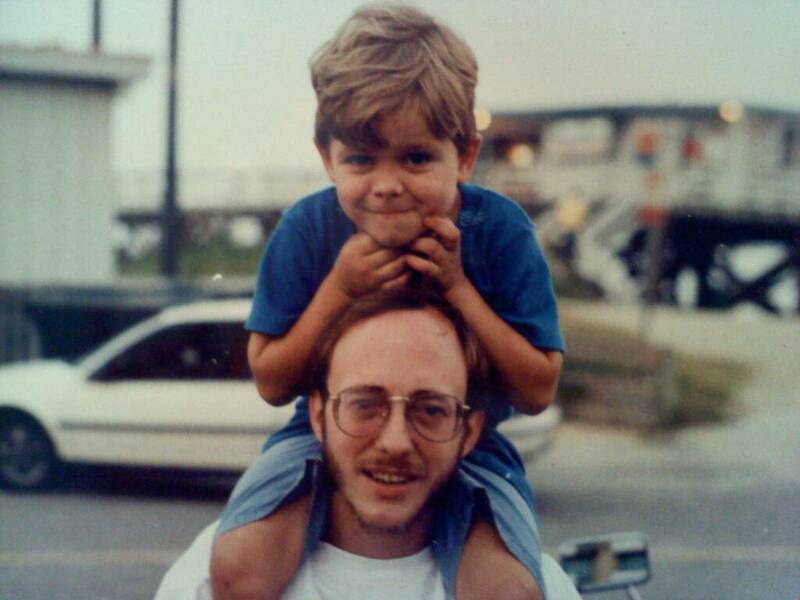 This is a great photo that was found recently--something of my past that had been hidden in a box, tucked away under some mattress. 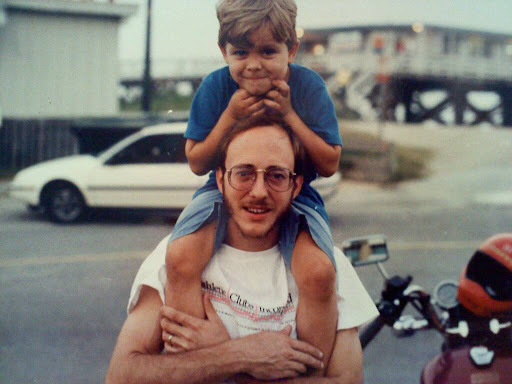 It's my father and I, hanging out at the beach in Wilmington, North Carolina. It was Wrightsville Beach to be exact. I couldn't have been more than 5 or 6 in the photo, and my dad looks like a hippie with those chops of his. He can no longer carry me like this, but I don't think either of us has changed significantly, other than a few minor hiccups. Enjoy! Hehehe, those types of memories.. I should go search for photo albums..
You look happy. It's nice to see your dad so young, isn't it? I feel that parenthood kills away a dream or two, so it's always nice to see parents with that youthful spark in their eyes. It's funny how we forget how we looked. Sure I can't carry you like this anymore, true, but it is an honor to help carry you in a way that I still can. I hope you will have as fond memories of these times as you do of your youth.